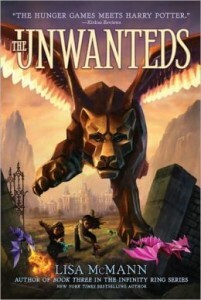 The Unwanteds is a dystopian novel quite suitable for the middle grade set. Quill, an island nation, is walled off, armed heavily against the threat of an undefined enemy beyond those walls. The world is bland, gray, and decaying. The leader, High Priest Justine, rules with an iron fist. Everyone has their place, and all children are split into three groups: the Wanteds, the Necessaries, and the Unwanteds. The Unwanteds are those who break the rules, who show any color or personality through creativity or independence of thought. At age 13, the Wanteds go to school or join the Quillitary, the Necessaries go to work on the farms or other manual labor, and all of the Unwanteds are sent away to die. Reporting that another kid told a joke or drew a picture is the same as sentencing them to death. Very quickly we learn that the Unwanteds don’t actually die—they’re rescued by Mr. Today who takes them to Artime, a magical pocket world where they can learn to use their creativity like magic. 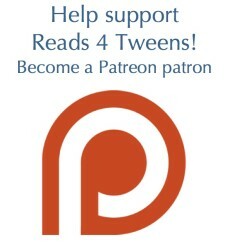 The novel follows Alex and the other Unwanteds of his age. Alex left behind a twin brother, who he misses tremendously. Now that he knows that this whimsical and magical world exists, he wants to bring his brother over. If the people of Quill ever find out about Artime, they will wage war—Artime is a threat to the power of the High Priest who rules through fear. Knowing that discovery is inevitable, the inhabitants of Artime prepare for war, learning to use creativity as a weapon. The threat of death is real, and very matter of fact. At the beginning of the book, Alex is resigned to his fate and just hopes it doesn’t hurt too much. Aaron, Alex’s twin, just moves on with life after his brother is supposedly killed. In the inevitable battle, some minor characters die. Family is pretty messed up. In Quill, the good of the nation always has to come before family. Aaron would kill Alex because his twin stands in the way of his ambitions, but Alex continues to believe that there’s good inside Aaron somewhere. Aaron tattled on several kids, knowing it would mean they would be sentenced to death. Alex’s parents pulled away from him as soon as it was obvious that he would be labeled Unwanted. Samheed wants his dad’s approval, but when the battle comes, his dad tries to kill him. Will Blair tries to betray Artime, but is captured in Quill. His father brings the boy’s body and dumps it in front of Mr. Today to show that they mean business. MAJOR SPOILER: We learn that Mr. Today and High Priest Justine are siblings, which just adds to the twisted family relationships. Alex assumes that Aaron, his twin, can be saved. That there are creative sparks in Aaron that will make him want to come to Artime. He’s tragically wrong about that. Lani assumes that she knows why her father had her labeled as Unwanted and she plots her revenge against him. She’s utterly wrong. Mr. Today supported Justine, thinking she was doing what was best. He’s still trying to make up for those mistakes. Samheed seems like the villain, but he’s more complex than Alex or the reader realizes. This feels pretty equal. I appreciated that our villain is a woman but that she doesn’t vamp it up—she’s just a power hungry and ruthless politician. The girls are strong and interesting characters who are allowed to feel anger and to plot revenge. The boys are allowed to feel hurt without being angry. Not everyone has to get paired off romantically (although what mild romance there is seems a bit problematic—more on that in a moment). There’s a big battle coming. The kids are anxious to learn how to use their magic to hurt and even kill people. Mr. Today doesn’t exactly encourage this, but he says that choosing whether or not to kill other people is a personal choice—I kind of would have liked to have seen a stronger message against killing people as a valid way to solve problems, but it’s true that those people had already sentenced all these kids to death and were prepared to finish the job. The kids feel angry and betrayed—since they aren’t actually killed, they have time to reflect on the fact that their society deemed them useless and their parents did nothing to save them. They don’t even know if they’re missed or given a second thought. They’re allowed to work through their own feelings in their own way, even when it’s kind of destructive. The kids’ magic is creative and often involves office supplies (yes, really). Origami dragons come to life. Thumb tacks pin enemies to walls. Magic drawings open portals. Everyday items, with some imagination, become literal and sometimes deadly weapons. The pen is mightier than the sword indeed. Samheed has been a major bully to Alex for quite a while in Quill, and continues to make his life difficult in Artime. There’s a big fist fight in drama class. Samheed and Will Blair are trying to kill Aaron, and will take Alex down with him if possible—of course, it turns out that the reason Samheed is in Artime is because Aaron told on him for “Dramatic Bragging” which, to Aaron’s knowledge, was a death sentence. Aaron did some really awful things, and Alex ends up paying the price to some extent. At first it seemed like the friendships between boys and girls would stay platonic, which I appreciated—I think it’s important to show that boys and girls can be friends. My son really really wishes there was no romance in this book, but like the majority of books aimed at his age group, there have to be crushes and the like. Lani gets a crush on Alex, and eventually he starts to think of her the same way. It’s pretty innocent. However, the crush first shows itself with Lani teasing Alex with pranks. Even when he explicitly asks her to stop, she doesn’t. This is never really called out as problematic, like it was fine since it came from her crush and not from her not liking him. But it doesn’t change the fact that she explicitly ignores his requests to stop playing pranks on him, which was a totally reasonable request. Lani is in the wrong, but she’s not held accountable for it. This may seem like a minor point, but it feels like the whole “S/he is only being nasty to you because s/he likes you” is a potentially toxic and still all too common idea, especially in middle school. It bugged me. High Priest Justine uses fear to control the people of Quill. She lies and kills in the name of keeping them safe, although it’s also how she maintains her power. Mr. Today could do more to protect Artime, but he feels that it’s really important for everyone to have free will, to the point where he lets the kids make some really bad choices. He won’t prevent them from making mistakes, even if it’s dangerous. He does keep secrets, but in the end he shares everything. Information and truth and freedom are all more important than security. The metaphor is pretty strong—I think most kids will pick up on it. 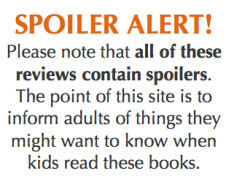 Reading back over this review, I realize that what doesn’t really come through is the fun of the book. It’s an innovative and whimsical world with talking blackboards and secret passages, and it’s primarily a book about kids learning that creativity and humor and the arts are things to be celebrated. There is a final battle that’s pretty brutal, and some painful betrayal, teenage angst, and other serious issues, but overall it’s a lot of fun discovering Artime along with Alex, Lani, Meghan, and even Samheed. Both my kids really liked it (my son wants to buy it so he can read it again and again, plus he wants the sequels). 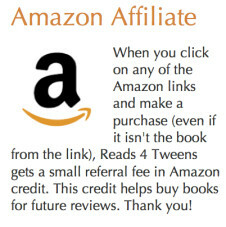 I’d recommend it for precocious readers 10 and up. I’ve noticed this book before. Sounds like it’s worth a try!